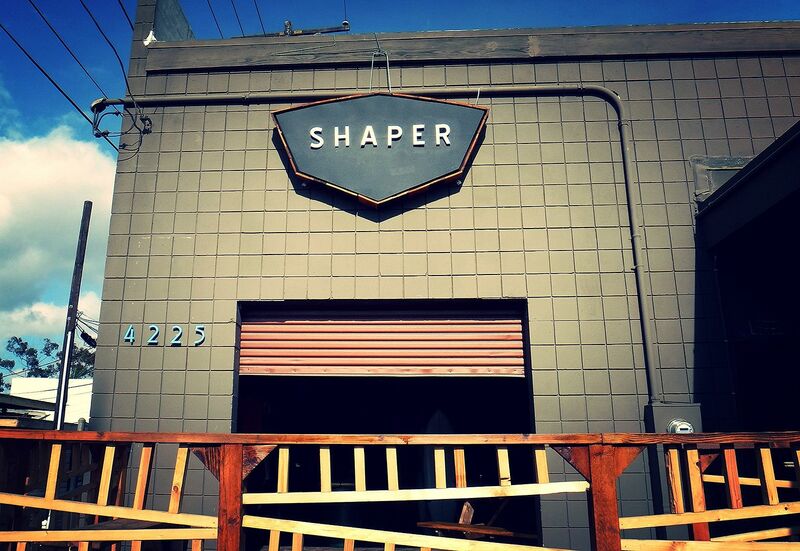 #ArtisansOfGnar: that's what the chicas and dudes at Shaper Studios in North Park hashtag themselves on Instagram and I dig it. 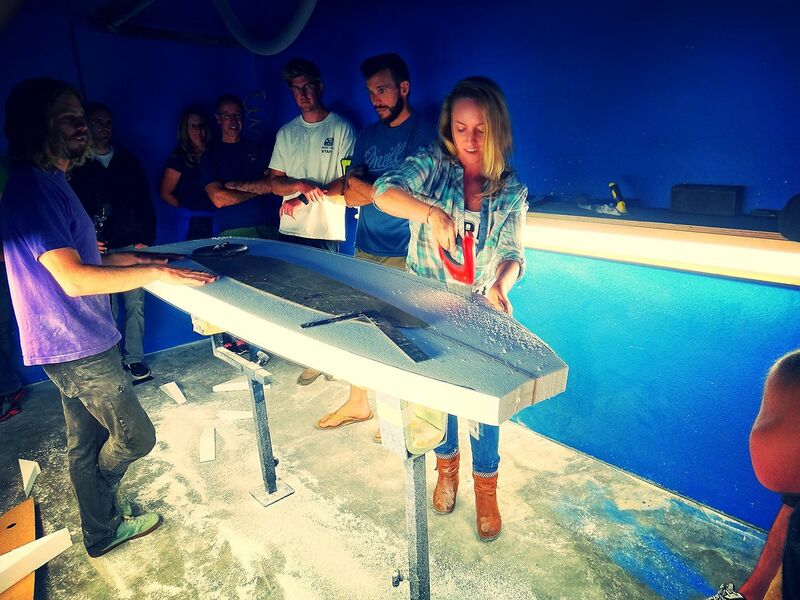 Even more so after experiencing firsthand what's actually involved in surfboard shaping. 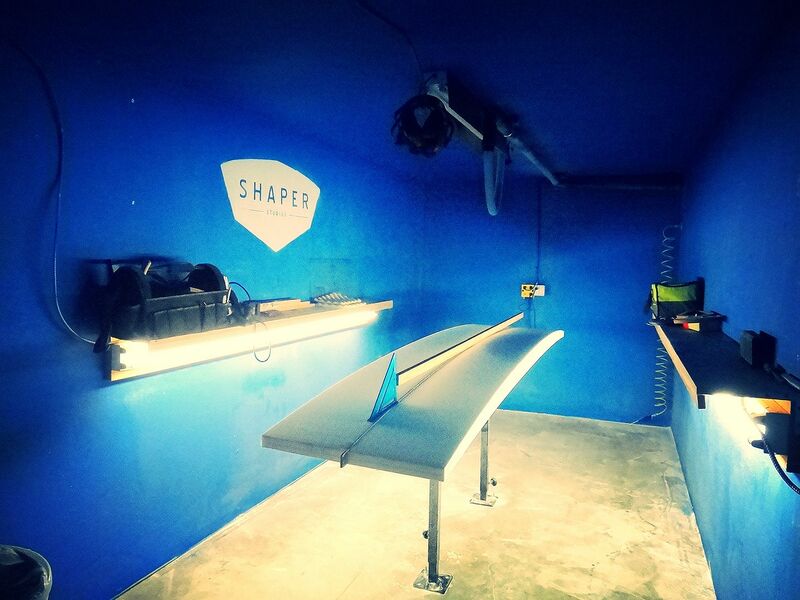 San Diego's very own Shaper Studios is the world's first public shaping workshop. 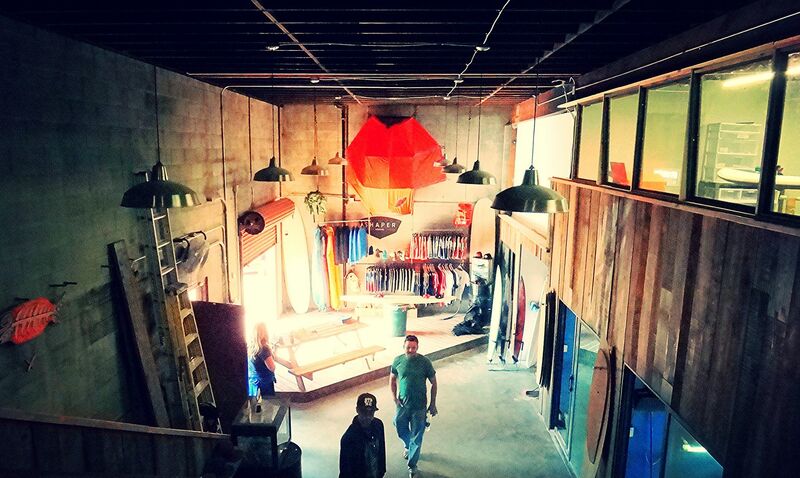 Their business model is genius: they provide the space, tools, and instruction (if needed) and surfers pay to come shape their own surfboards. 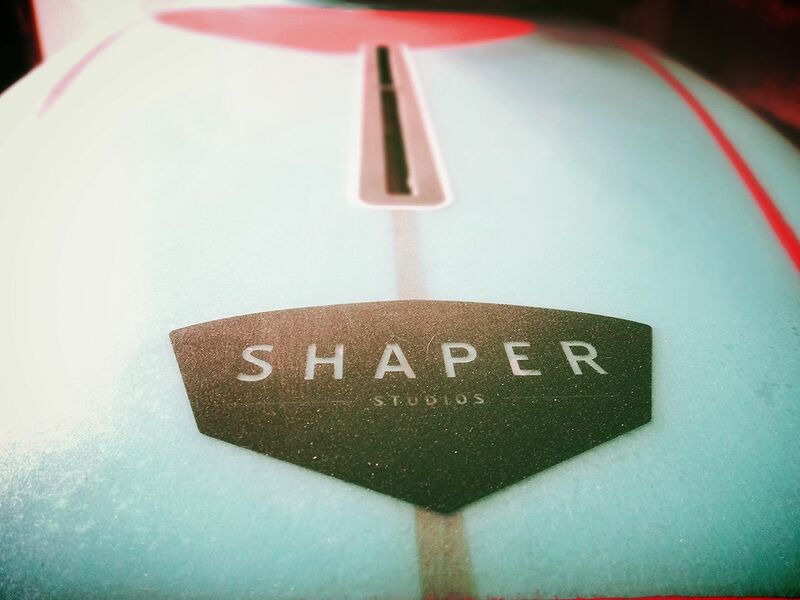 They can take private lessons from a master shaper, where 50-75% of shaping is done by the student, or they can just rent the space to jam out and shape their own board and Shaper Studios will arrange for it to be open for members anytime. Day or night. 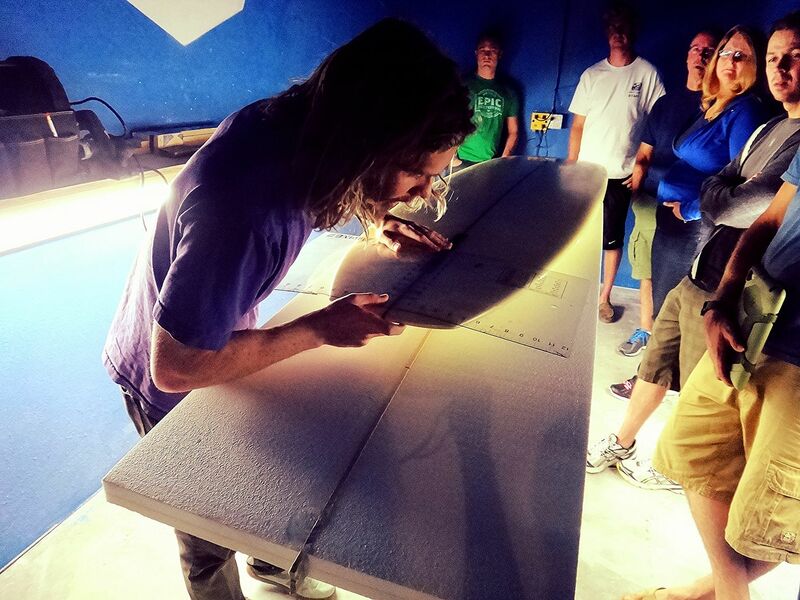 Or, they can take a four-hour long group workshop, like Ryan and I did a couple of weeks ago, and get just a taste of what goes into making the boards they ride. 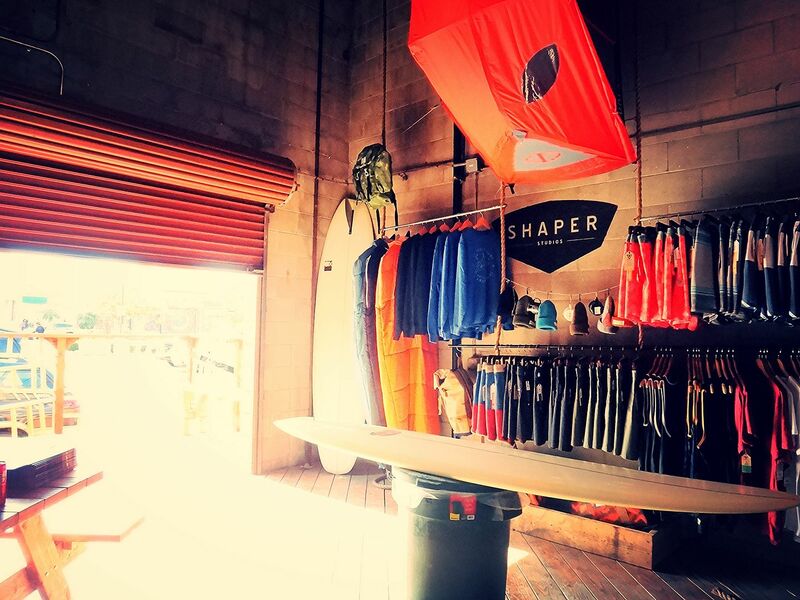 Part rad surf shop, part event space, part shaping studio and part glassing room, Shaper Studios is a haven for surfers and wannabes alike (Ryan and I respectively). When I told the guys there that I wanted to come and check out a class, they kindly let both of us sit in for free. Thanks guys! For Ryan, this was a trip down memory lane. 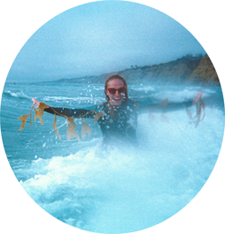 When he was younger he watched some of the best shapers in San Diego shape his boards. 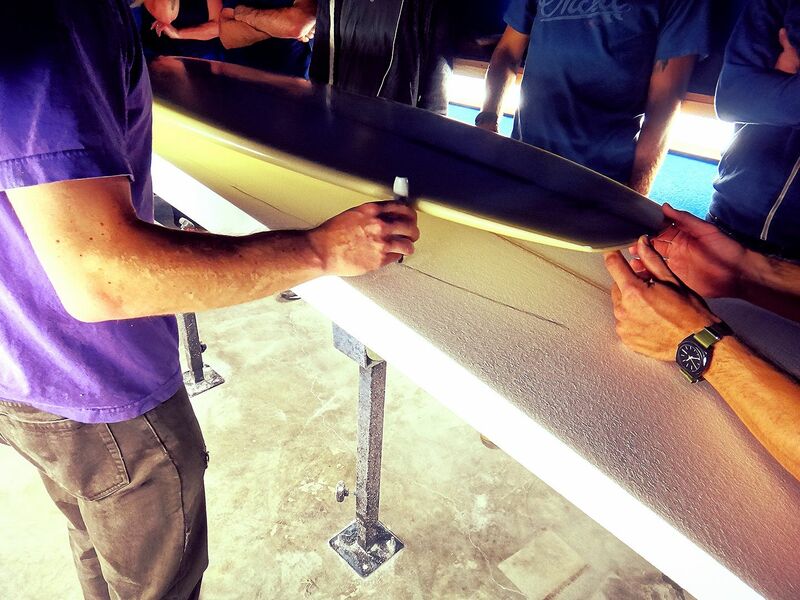 He even got to touch Kelly Slater's board before it was shipped out to him. 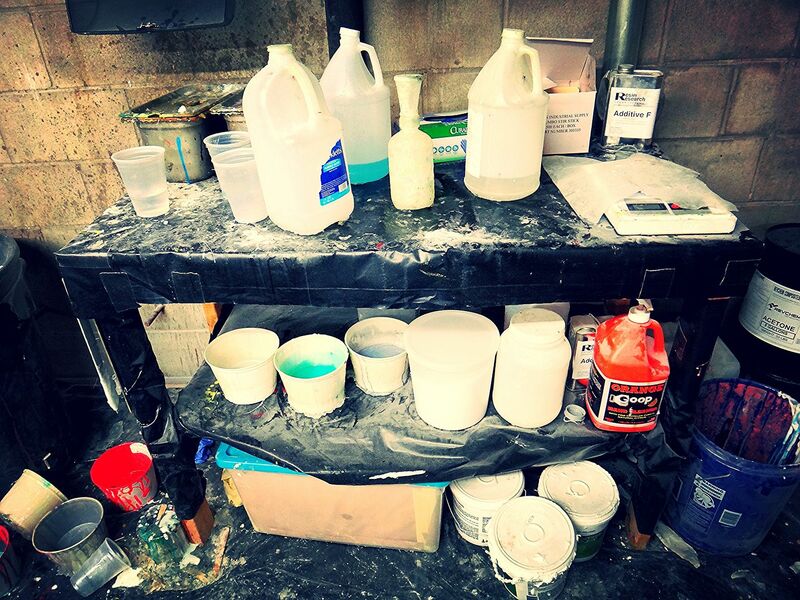 The tools, shapers, and terms that were discussed during the workshop were all familiar to him, which was super helpful when I had questions that I didn't want to ask in front of the class. I, on the other hand, got to go behind the scenes into a whole new world. 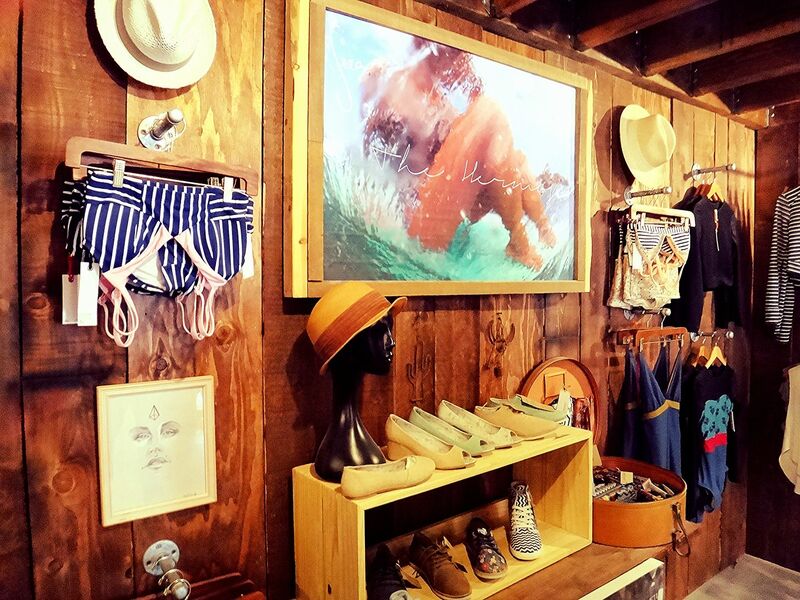 Everything was impressive to me. 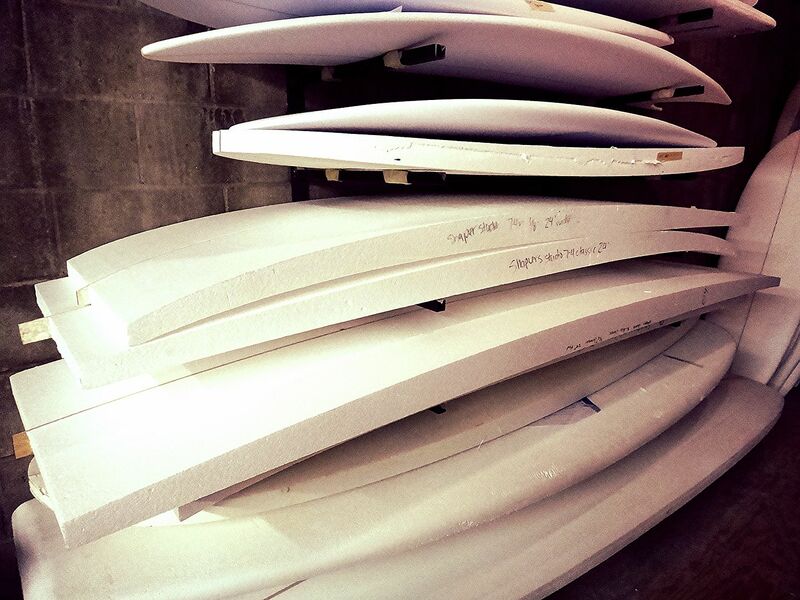 It was really, really interesting to not only see how boards are made, but to participate in making one myself. That afternoon we were trying to replicate a board that one of the other students in our class had brought in. So the first step was to outline the board we were copying onto the foam blank and take some measurements. Next up, we used a pull saw to saw off the extra foam. This is where things started to get dusty. And where the blue walls came into play: it's the one color that doesn't look like it needs to be cleaned constantly because the dust doesn't show up as well on it. 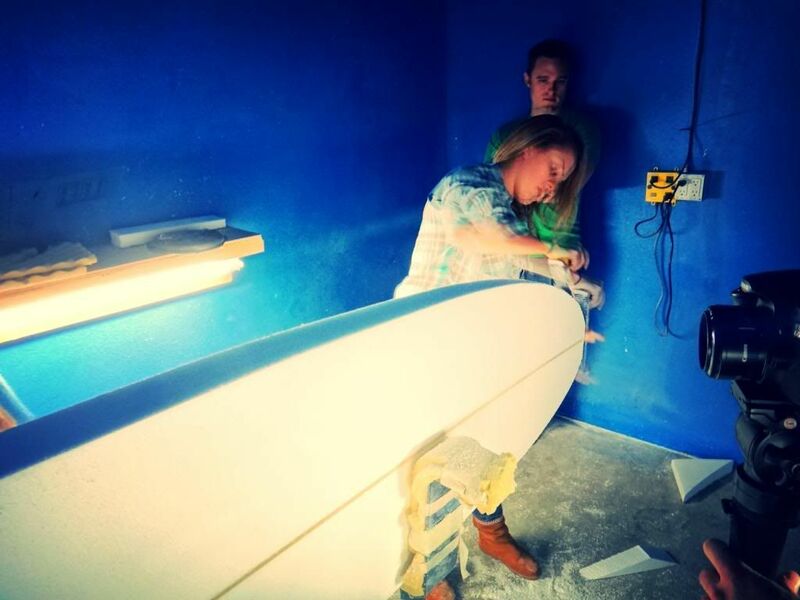 This is also where we learned the first rule of shaping: you can always take foam off but you can't put it back on.... No pressure. 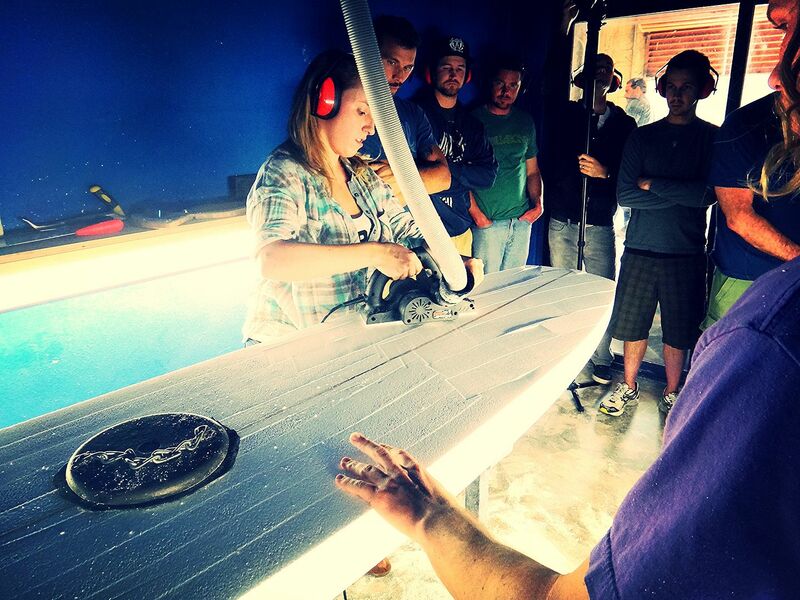 Once the excess foam was sawed off, we used a Sure-Form hand planer to smooth out the rails. 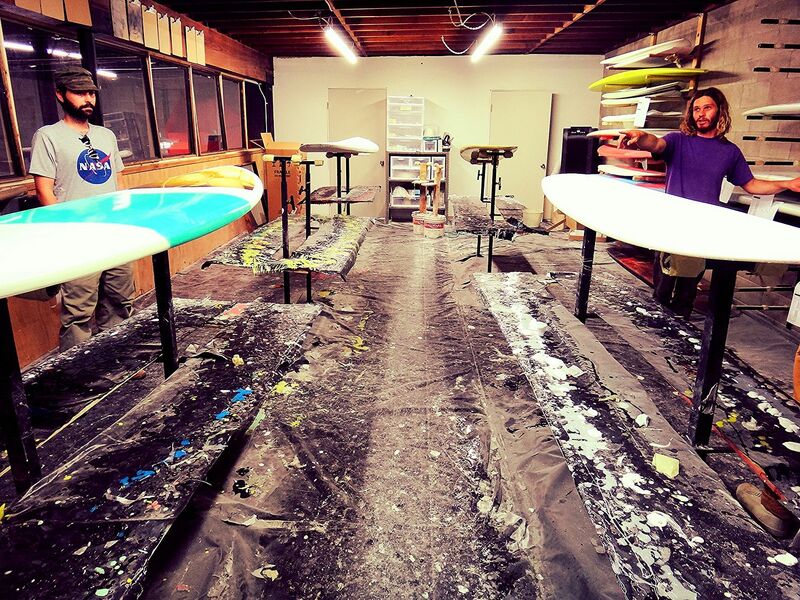 This is one of the major places that can affect the quality of the board. Bumps in the rails of the board will cause it to wobble when you ride it. Our instructor showed us some techniques to spot the bumps and said that the lights at Shaper are placed to help you see them easier. 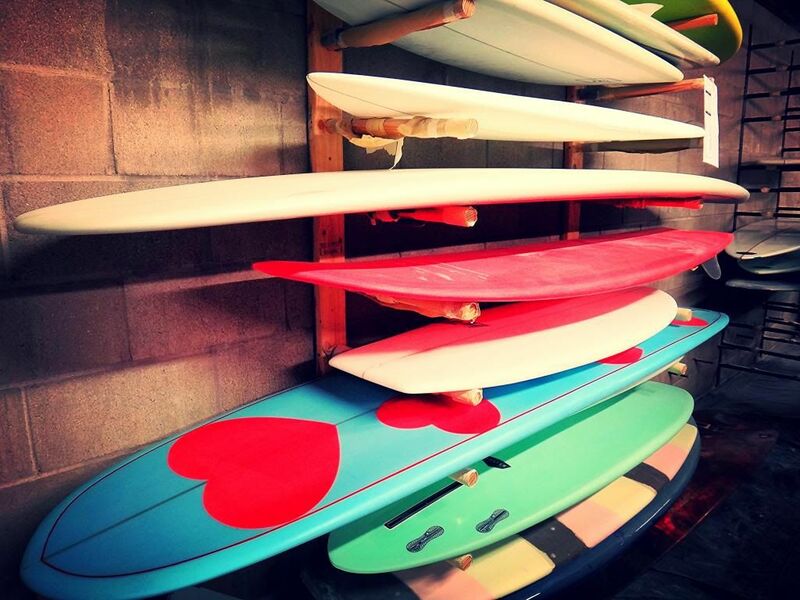 Otherwise, he said, it takes at least five boards to start to see them on your own. After the Sure-Form (which was my favorite part), we finished off the rail with a sanding block and 60 grit sanding paper for a smooth finish. 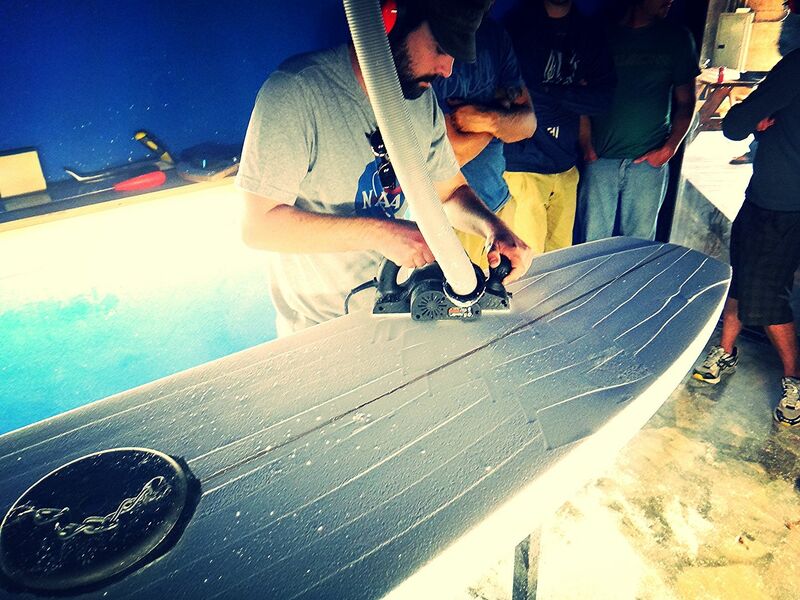 The final step for us that day was to use a real planer to foil the board. Foiling means taking off all of the excess foam on the top and giving it the shape you want. To do this, first we had to get rid of the layer of glue that sits on top of the board. This is there so that when it ships it doesn't get too beat up or dinged. The planer was a pretty loud and intimidating tool to be honest. I took hold of it and was positive that I was gonna eff the dude's board up right in front of him. Luckily, I didn't and I think with more confidence that might even be my favorite power tool. 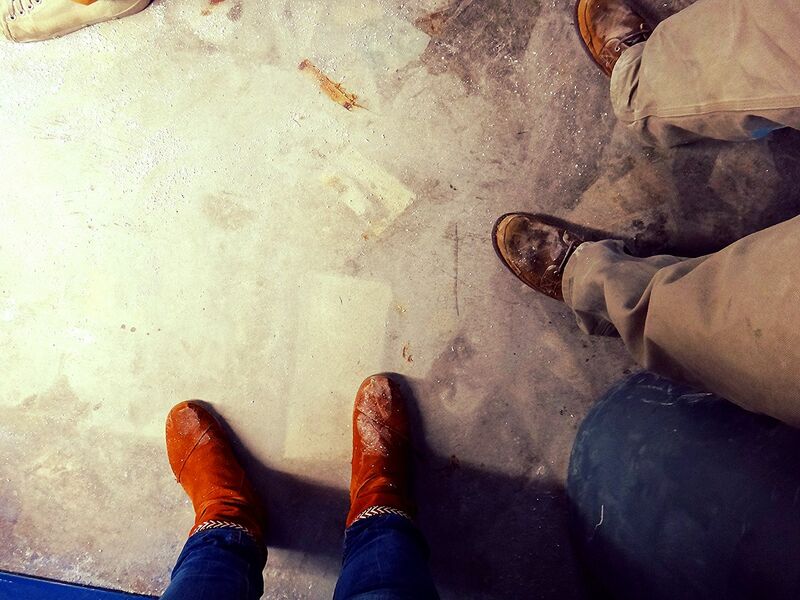 When our four hours were up we did a little tour of the rest of the studio and the glassing room upstairs. 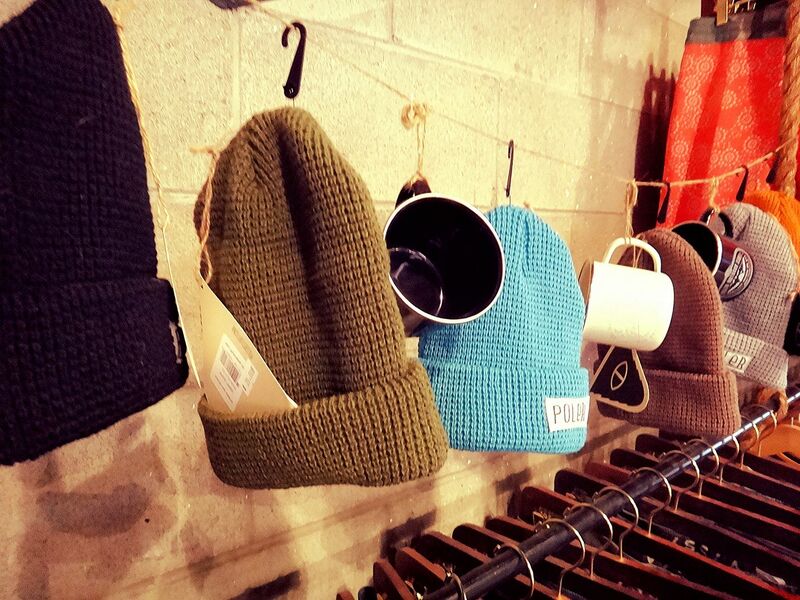 They've started to offer glassing lessons too, which I think would be fun to sit in on as well. When all is said and done, going to the class just made me that much more excited to get better at surfing. 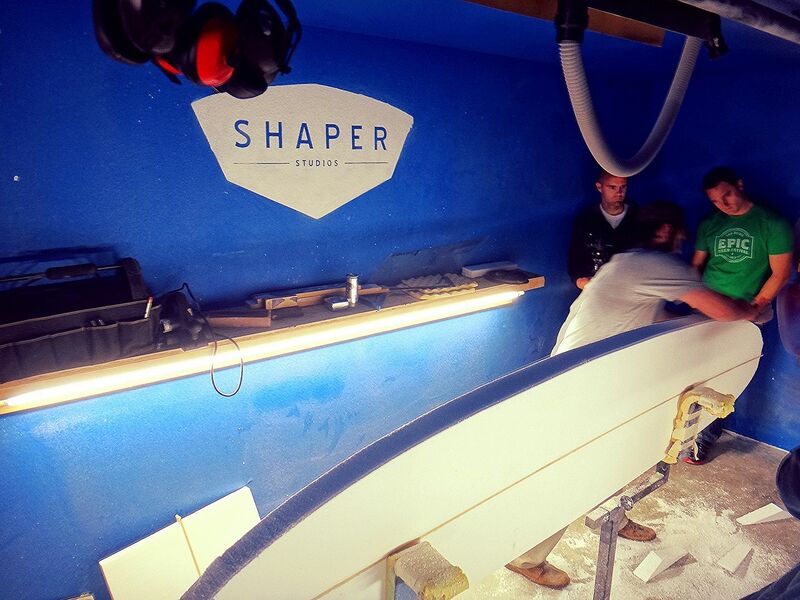 Because one day, when it's worth it and I'm not just learning on Ryan's boards, I would love to design my own board at Shaper. 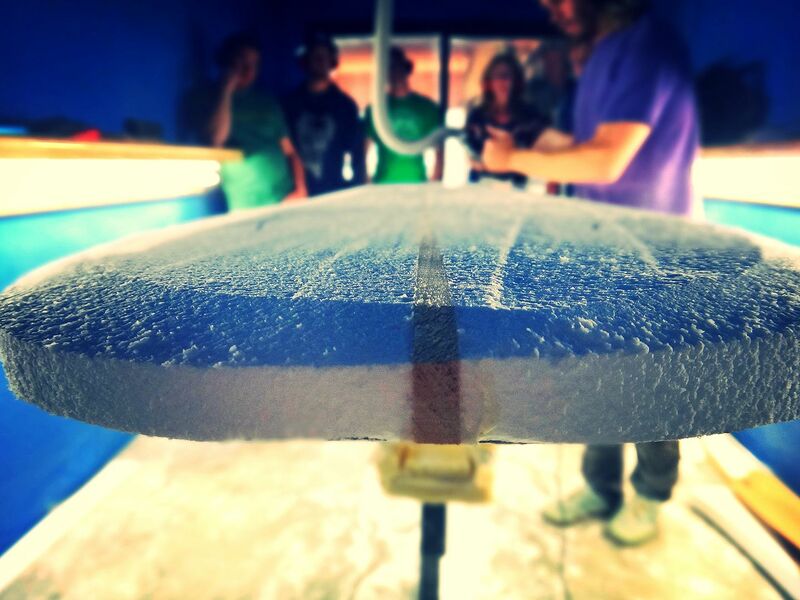 Nothing sounds more exciting to me than being able to customize my first surfboard. 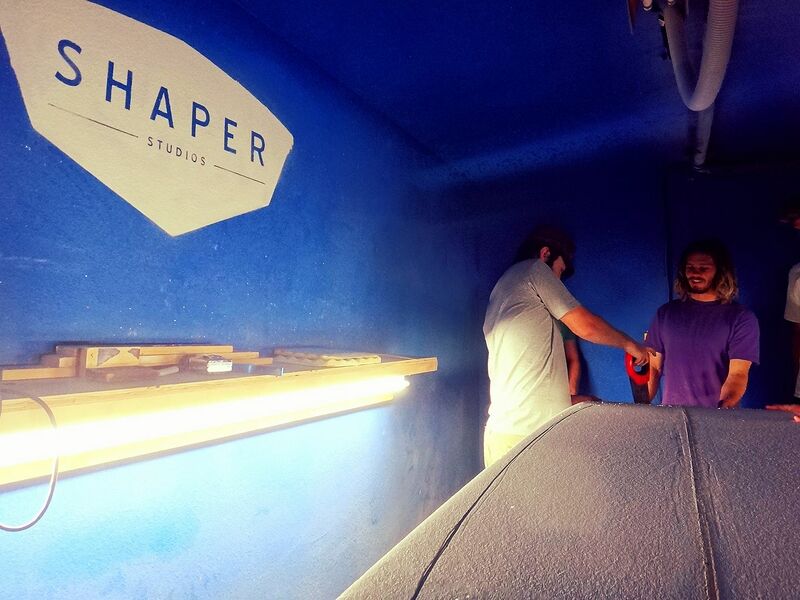 In the meantime, I'll be back for the art and music events that Shaper hosts and maybe a glassing class this summer when their AC is installed upstairs! The day ended with a couple of beers next door, which is easy no matter which way you exit: North Park is good like that. We had beers at Tiger! Tiger! during our lunch break and then tasters at The Belching Beaver after class. Both are great options for a post-workshop debrief. 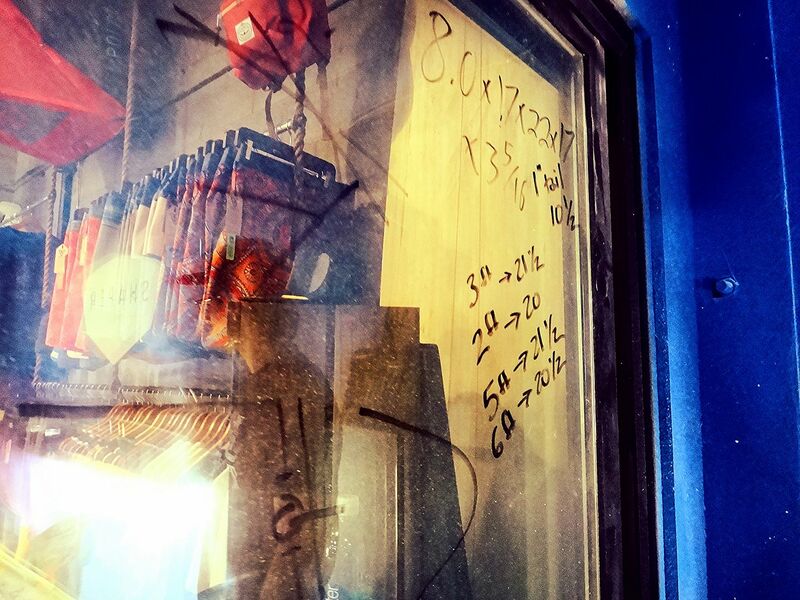 When we left, I couldn't help but think that 1. Their workshops are such a great day date if you have someone to share it with (heyyyyyy, boyfriend!) and 2. 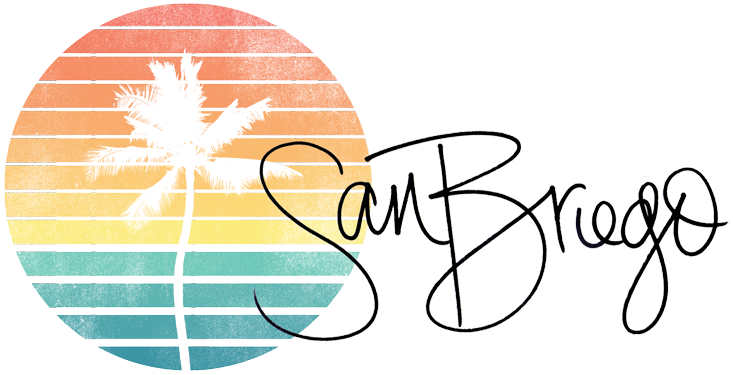 If you're a single chick in San Diego, what better place to head solo, take a group workshop and meet dudes who share your interests? My single friends are always wondering where the non-sleazy places to meet new guys are and from now on, I think I'll send them here. But I'll do so with one caveat: they have to cultivate an appreciation for the art of shaping while they're at it. 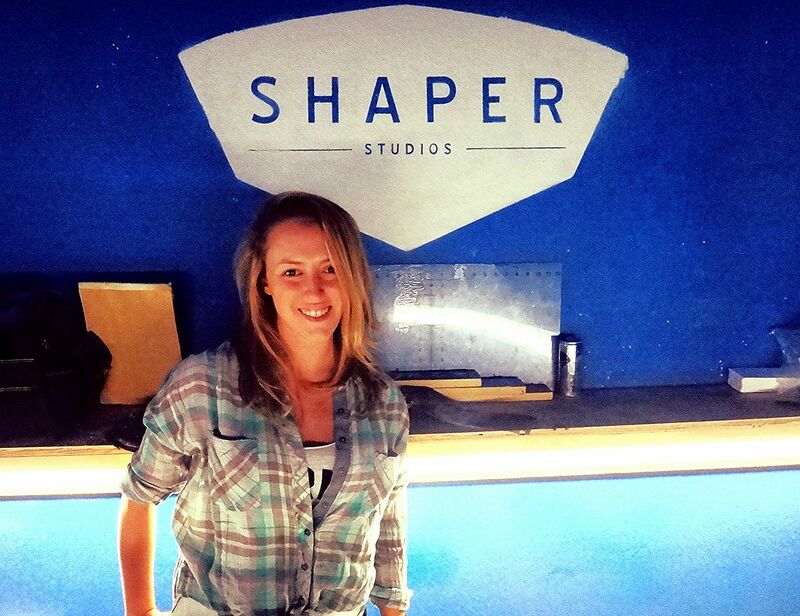 Not that it's hard to do at Shaper. Artisans of Gnar, for sure. Yesss! How awesome! Can't wait to check it out when it's all done. What a neat thing to experience!